I couldn’t be happier with this cake. It was a bit of a pain to make, but totally worth it! 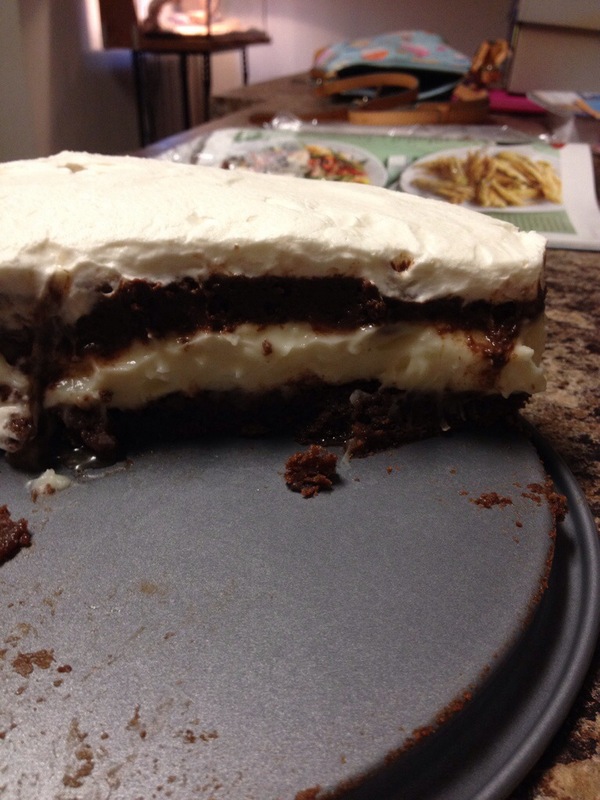 There are four layers – a brownie, coconut cream, chocolate mousse, and whipped cream. According to the recipe, you need to make the brownie. Then while the brownie is cooling, make the coconut cream and put it on top. Then you let it chill for 2-4 hours. Then you make the chocolate mousse, and let it chill for another 4 hours. Then you make the whipped cream and put it on top. Wait, what? It’s going to take all freakin’ day to make this cake? Heck no! So I took a bit of a risk. The birthday was on a Friday. On Wednesday, I made the coconut cream and stuck it in the fridge. 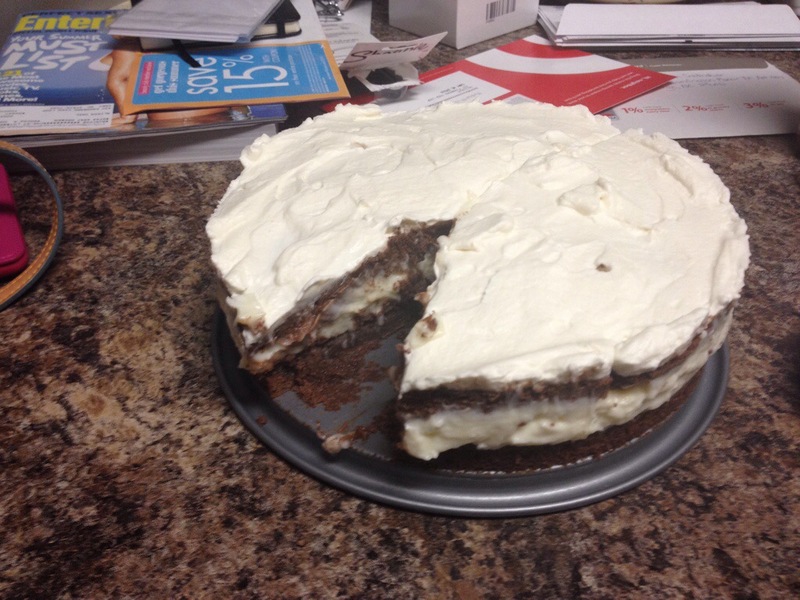 On Thursday, I made the brownie and put the coconut cream on top, then put it in the fridge. Then I made the chocolate mousse and added it on top. On Friday, I made the whipped cream and put it on as the very last layer. I was a bit worried that the texture wouldn’t be quite right, since I didn’t put the layers together in the way that the recipe stated. But fortunately, my fears were unfounded! The cake was delicious and my mother-in-law LOVED it. I definitely made the right call in saving the recipe for this special occasion!